Oral Surgery involves treating diseases, injuries and defects in the the oral and maxillofacial region. 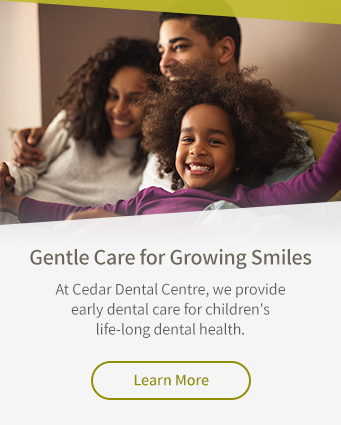 At Cedar Dental Centre in Kamloops, we offer a selection of oral surgery treatment options for our patients. Oral surgery treats diseases, injuries and defects in the head, neck, face, jaws and oral and maxillofacial region. At Our Kamloops dental clinic, our dentists offer several oral surgery procedures to care for our patients' oral health. While it is always preferable to preserve a natural tooth if possible, there are some situations in which extraction is necessary. Wisdom teeth erupt later in life than the other teeth. In some cases, they don't cause any problems, but sometimes, they grow in the wrong positions or angles, or there simply isn't enough room for them in the mouth. Wisdom teeth may become impacted, or may not erupt fully. Their position in the back of the mouth makes them difficult to clean, making them susceptible to decay. Because of these issues, having the wisdom teeth extracted can help preserve the health of the mouth. Occasionally, a tooth will be too badly damaged to save. This can happen as a result of dental decay or gum disease or an injury to the tooth. In these cases, the tooth must be extracted. Dental implants are tiny titanium rods that are implanted into the jaw, acting as artificial tooth roots. These are capped with dental crowns. Together, the dental implant and crown look and function almost exactly like a natural tooth would. Oral surgery has many applications. It can be used to aid in the fitting of dentures, improve jaw alignment, repair facial injuries and remove lesions and abnormalities.